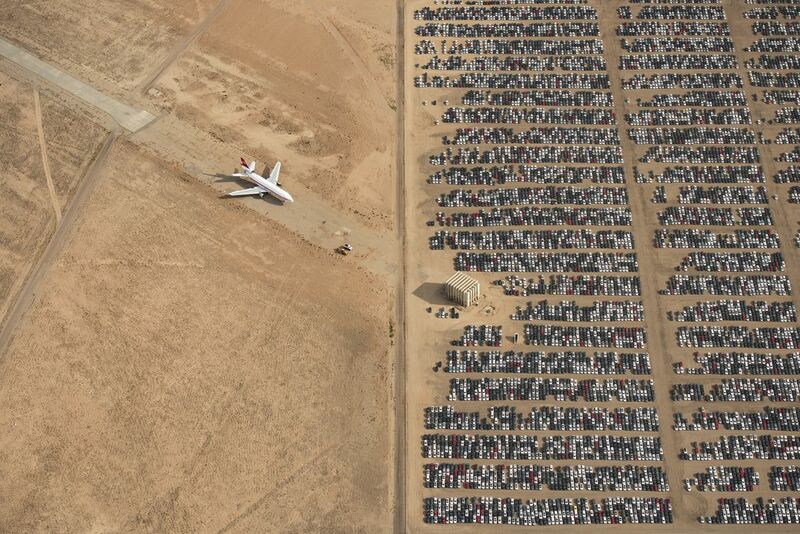 Thousands of Volkswagen and Audi cars sit idle in the middle of California’s Mojave Desert. Models manufactured from 2009 to 2015 were designed to cheat emissions tests mandated by the U.S. Environmental Protection Agency. Following the scandal, Volkswagen recalled millions of cars. Aerial image (photographed from a plane).